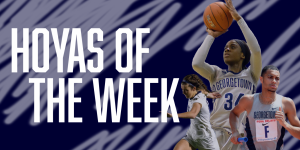 The Georgetown women’s basketball team (11-12, 5-7 Big East) fell, 59-52, at No. 8 Marquette (20-3, 11-0 Big East) on Friday night. Graduate student guard Dorothy Adomako led all scorers with 17 points, senior guard Dionna White added 10 points and seven rebounds, and freshman guard Nikola Kovacikova scored 13 off the bench. For the Golden Eagles, senior guard Danielle King, senior guard Amani Wilborn, and junior guard Isabelle Spingola each had 12 points, while senior forward Erika Davenport pulled in 23 rebounds, nearly matching Georgetown’s team total of 26. Neither team started well offensively with the first points coming after two minutes played with a layup from Davenport. That eventually began an 11-2 run for the Golden Eagles before the Hoyas came to life. Adomako converted an and-one layup, and Kovacikova came onto the floor to hit two 3-pointers and give the Hoyas a 13-11 lead at the end of the first. Georgetown carried its momentum into the second quarter, and a layup from Kovacikova put the score at 19-15, Georgetown, but the Golden Eagles came storming back with a layup from King and two 3-pointers from Spingola to take a four-point lead of their own within the next 1:20. Kovacikova kept the Hoyas close with five more points in the quarter to get all 13 of her points in the first half, but the only basket in the last 3:46 was a layup from Wilborn, and Marquette went into the break with a 27-24 lead. King hit two 3-pointers to help Marquette to a seven-point lead to begin the third quarter, but Hoyas dug in and pulled the game to within two points at the 6:07 mark. While Marquette weathered the first run, Georgetown mounted another in the same quarter, eventually pulling ahead 44-43 after two free throws from Adomako with 2:55 to go in the period. Unfortunately, the Hoyas couldn’t continue to build on their momentum over the final three minutes of the quarter, and Marquette managed to go into the fourth tied at 44. The Golden Eagles opened the fourth quarter with two stops and back-to-back 3-pointers from Spingola, and never looked back from there. Head coach James Howard’s timeout stemmed Marquette’s momentum, and White hit a 3-pointer to make it a 52-49 game with 6:25 to play, but Georgetown couldn’t find buckets while Marquette’s offense stalled. 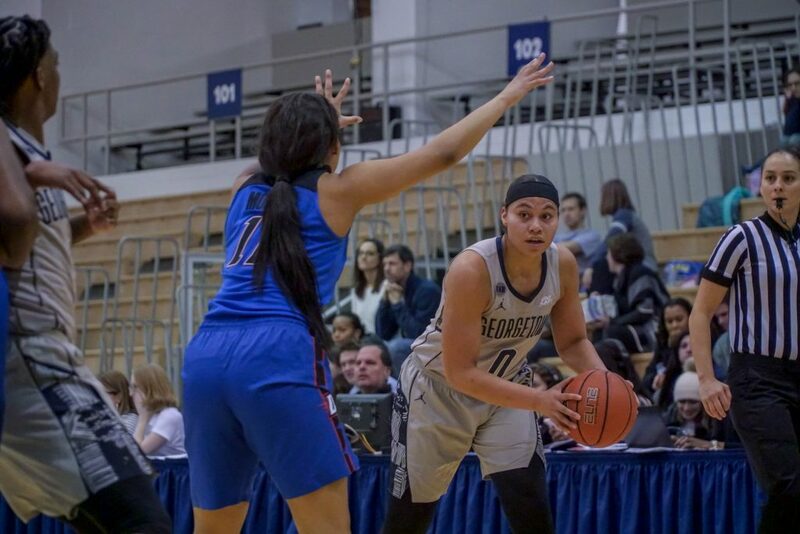 Senior guard Allazia Blockton hit a dagger 3-pointer with 2:57 remaining to make it 57-49, and, though White’s late 3-pointer gave the Hoyas hope, Davenport pulled down a crucial offensive rebound to ice the game. 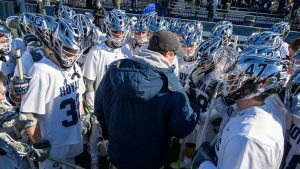 The Hoyas play again on Sunday at DePaul (16-7, 7-4 Big East) at 3:00 p.m. ET. The game will be streamed on the Big East Digital Network. 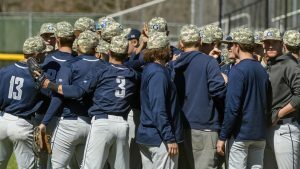 For more coverage of Georgetown’s athletic programs, follow @GUVoiceSports on Twitter.